Hosted the first Thursday of every month, Lighting 100’s Thuderground is a great way to catch some amazing and well-curated local and national talent at The Basement East for just $5, thanks to a variety of sponsors. For their latest showcase, tonight, May 4, Lightning welcomes friends of the site and breakout local indie rockers Paper Route to headline, still buzzing from the release of last year’s Real Emotion, their third and, perhaps, best album to date! Joining the band, whose synth-laced, experimental, and poppy style is even more enthralling in person, are indie pop newcomers and definite band-to-know Arlie, singer James Droll, who, with only a couple tracks to his name, has captured our attention with his alt-r&b stylings, and soulful, r&b singer NDUKA, a truly stellar bill at any price. Grab your tickets while they last, and sample the performers below! 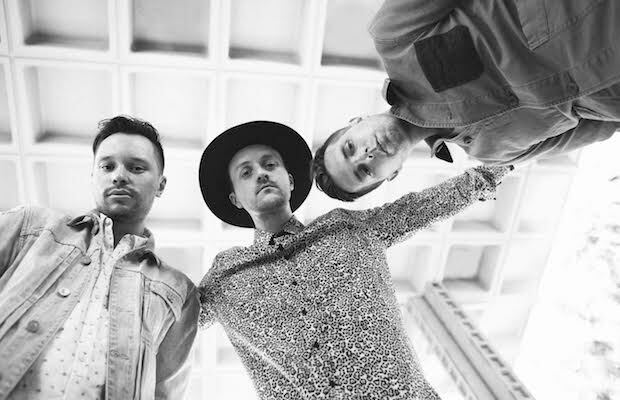 Paper Route, Arlie, James Droll, and NDUKA perform tonight, May 4 at The Basement East. The show is 21+, begins at 8 p.m. (doors at 7 p.m.), and tickets are available to purchase for $5. Sufjan Stevens Shares “Blue Bucket Of Gold” Remix Ahead Of Ryman Date!